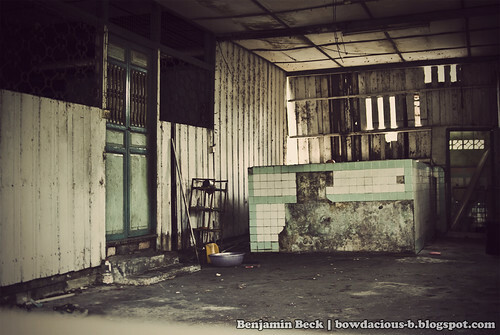 30th November 2009 – This abandon house @ Kampung Chokoh located in Serkat, Pontian Kecil, Johor Bahru, Malaysia. 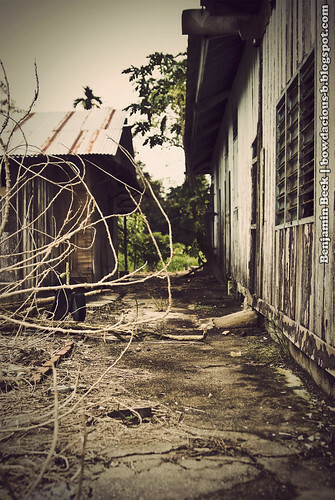 The small village of Kampung Chokoh is situated in between Tanjung Piai and Tanjung Bin. Tanjung Piai is located at the southern most of Peninsular Malaysia. Modern car meets old abandon home. The drive from Kuala Lumpur to Pontian Kecil took a rough 4 hours. 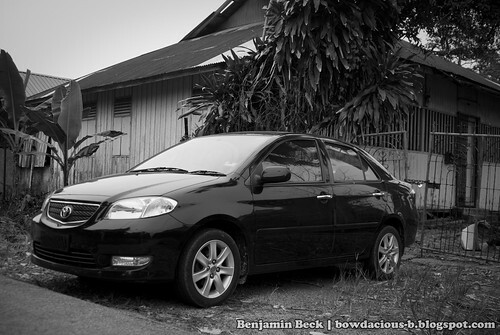 My ride for this journey is a Toyota Vios, smooth drive and fuel economy. The journey to south primarily was to attend my cousin sister’s wedding dinner; since there is an opportunity for me to visit around in my free time hence the visit to the abandon home. 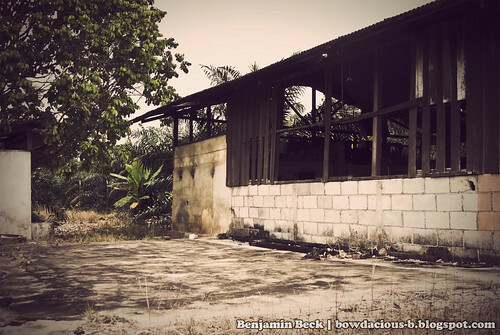 This humble home, belongs to my grandfather whom I never had a chance to see since birth, was abandon for years. If my memories serves me right, it would be an estimate of 10 years. 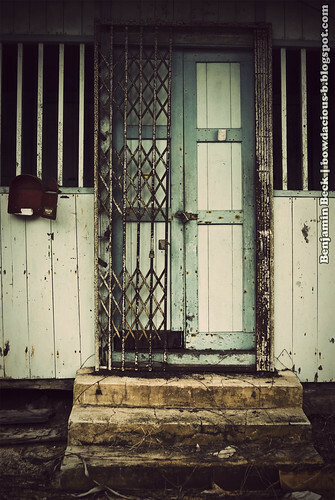 The classic wooden door with metal railings. 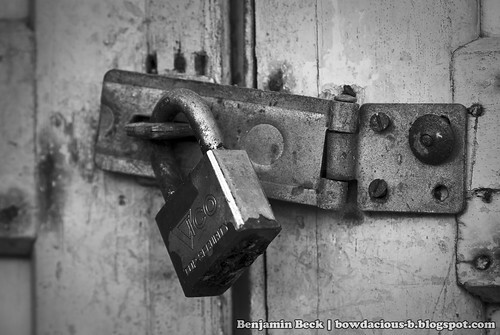 All locked up. Too bad that we forgot to bring the keys, access to inside the building is not possible at the moment. 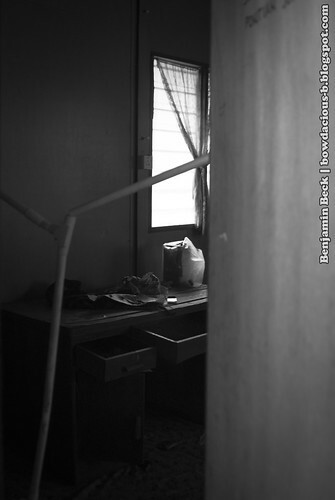 I and my brothers had a “Resident Evil” feel, thought of kicking the door to make a path. But, we didn’t do it. The pathway from the front to the back of the house. I remember there’s plenty of greens in between, it seems that the greens gone dead with the place. 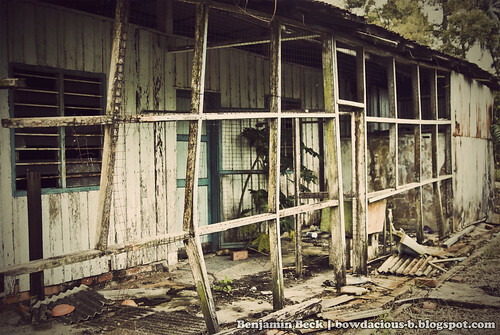 Torn down, and yet there is no access inside the home. Plenty of village dogs use to hang around this spot, now there is none. I manage to peek through one of the windows. Here’s the kitchen and dining area, but no longer. I found my way to the store room as well. Ceiling seems to crashed down and looks unstable, I had to back out. 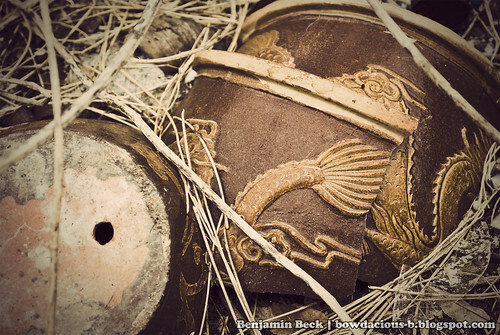 Old relics found and broken. 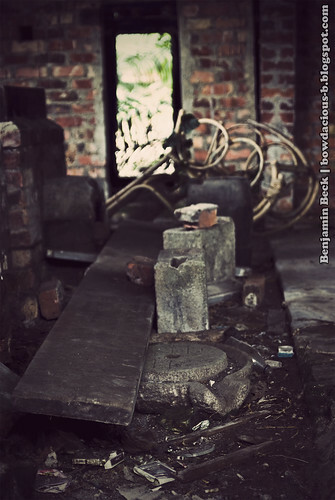 Place we store raw materials. The back pathway leads to the Durian Plantation which is now a Palm Oil Plantation. 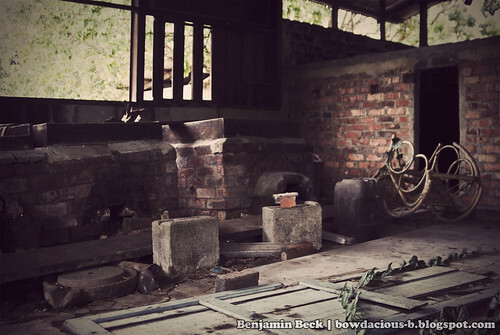 Here’s where we dry the coconuts and all related things we need to do with the furnace.